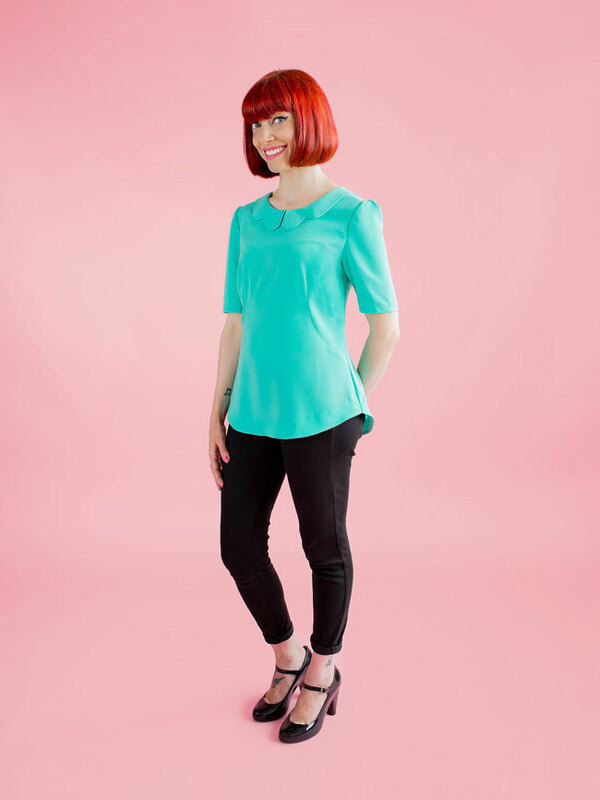 Orla is a shift top that you want to hang softly over your curves. We recommend picking a fabric that is lightweight and drapey. 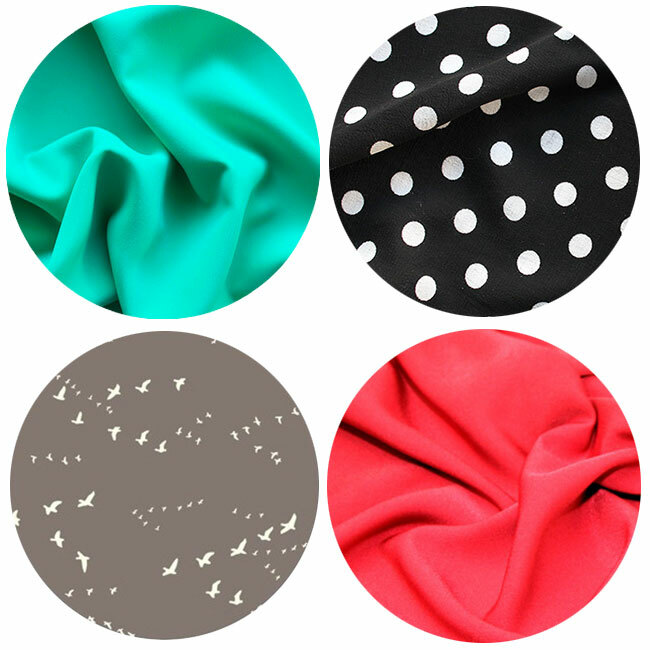 You could go with a silky soft viscose (rayon), a silk or polyester crêpe de chine or a similarly drapey fabric. I reckon it would be lovely in a lighter weight crêpe-back satin - you could use the crêpe side for the main pieces and do the collar in the satin side (mmm...). 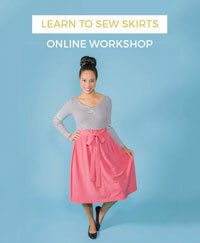 You could also make Orla in a lightweight cotton that drapes well, such as lawn, voile or a soft dotted swiss. When choosing a colour or print, I find it helpful to look at a line drawing of the pattern, then soften the focus of my eyes and let my imagination project colours, prints and details on top of it. This is one of those tops that would be great for showing off a crazy print. 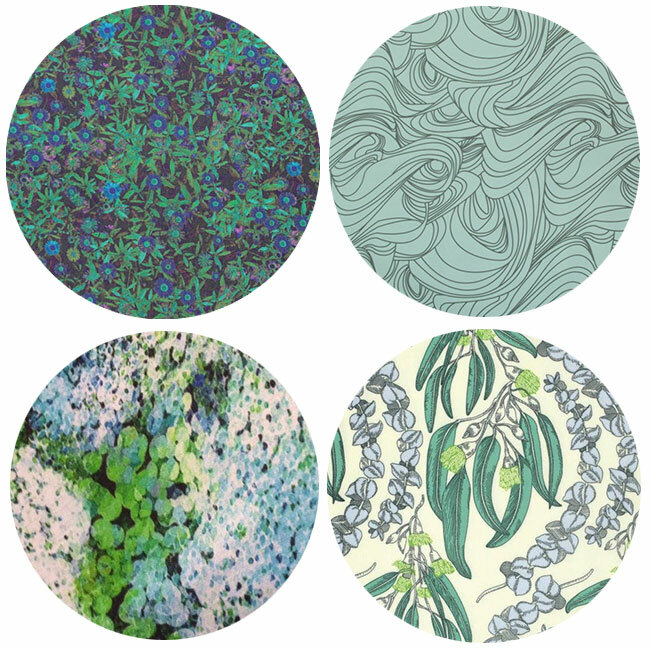 On the other hand, if it's the style lines of the pattern that you want to show off - such as the unusual curved French darts and snowdrop collar - then you may want to pick a solid colour or less busy print. 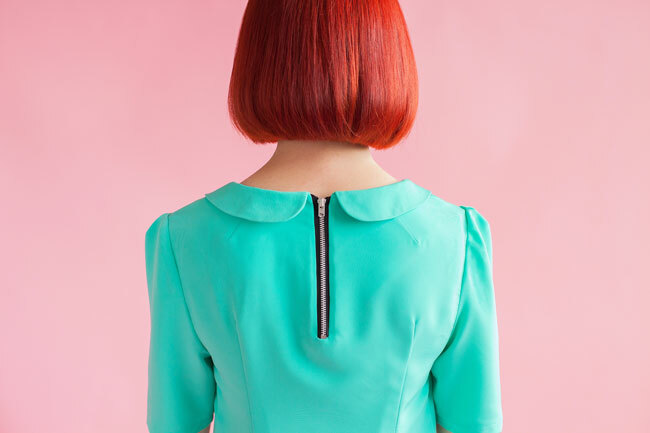 You can always add extra interest with a contrast zip and collar. Please someone make it in cream with a black collar! If the fabric is 150cm (60in) wide, you'll need 1.7m (1 7/8 yards). 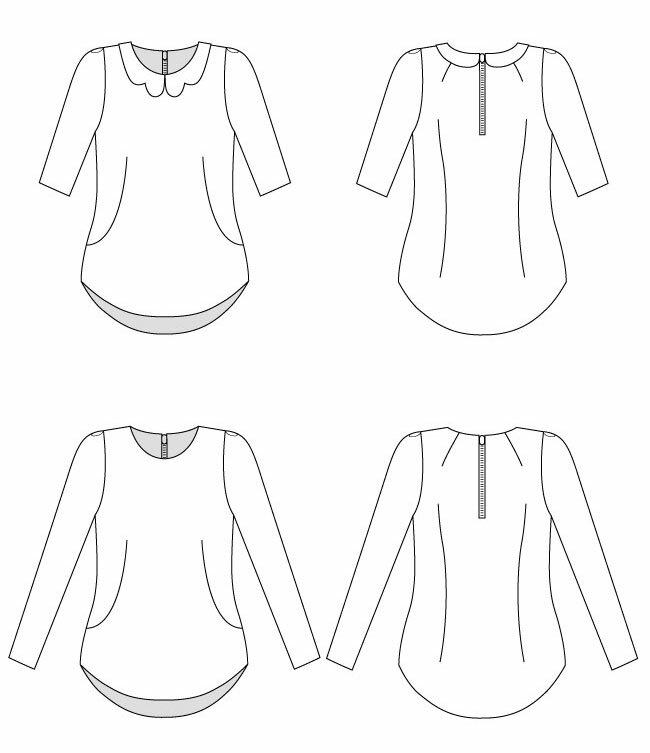 If the fabric is 115cm (45in) wide, you'll need 2.5m (2 ¾ yards) for the long sleeve version, or 2.2m (2 3/8 yards) for the cropped sleeve version. I highly recommend an adjustable zip foot for getting up close and personal with your zips - I find they make it much easier to get a super neat result. I'll show you how to use it when we come to attaching the zip in the Orla sewalong. Speaking of zips, let's talk about zips! The zip teeth and part of the tapes will be on display on your finished top, so go for something snazzy. We recommend getting a zip with metal teeth, with tapes in a contrast colour to your fabric so it stands out. To make it easier to find the right size zip, we've provided options in the pattern for using either an 18cm (7in) or 20cm (8in) zip - if you're in a shop and the zip isn't labelled with the length, measure it from the metal top stop to the bottom stop. We wouldn't recommend going any shorter than that - go longer if anything - otherwise you may struggle to get the top on! Try to get a zip that's 25mm (1in) wide, with each tape 10mm (1/2in) wide - it's very common to find metal teeth zips this wide, but occasionally they are wider. It's not the end of the world if it's wider, you'll just need to overlap the excess tape width over the fabric edge, which I'll explain properly when we come to inserting the zip in the sewalong. It can be tricky to find metal teeth zips in snazzy colours, so to make your life a bit easier, we've ordered a bunch in that you can buy from our shop! 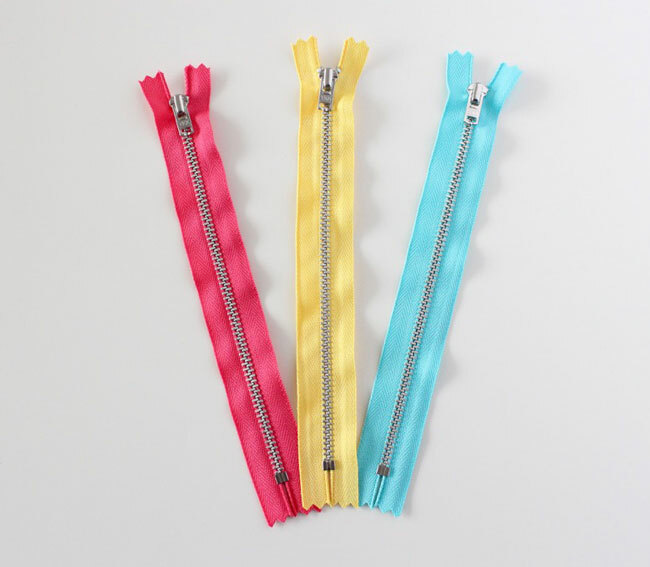 These are great quality YKK zips, 18cm (7in) long and 25mm (1in) wide, with silver teeth - perfect for the Orla top. We've got three colours in stock - hot pink, banana yellow and aqua blue. You can buy one from us for £2, including free shipping to the UK for 1-3 zips, free shipping to the rest of the world if you order a pattern/book/bag at the same time, or £1.25 to the rest of the world if you order 1-3 zips on their own. We have a limited supply in stock and aren't planning to get any more in once they have sold out, just so you know! Pre-empting a potential question, what about if you want to sew an invisible zip instead? What you'll need to do is add a seam allowance down the centre back of the back bodice pattern piece - draw a parallel line 15mm (5/8in) outside the line with the 'Place on fold' arrow. Cut two back bodice pieces of fabric separately rather than on the fold. Then insert an invisible zip as normal and sew up the rest of the seam below it. And finally, as soon as you've got your fabric, stick it in the wash! Fabric can shrink, so much better to get that out of the way before you cut out your pieces. Give it a good press once it's dry to get rid of any creases, testing out the iron setting on a scrap of fabric first so you don't accidentally scorch it (oops!). 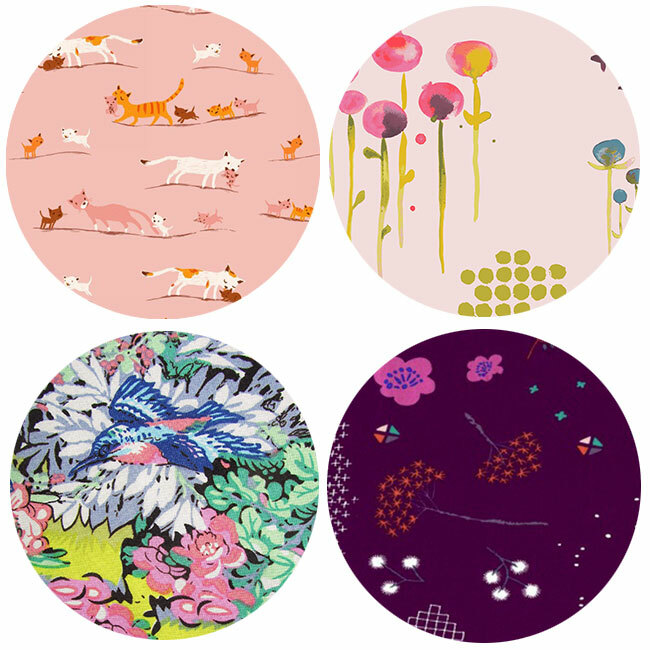 What fabric are you planning to use for your Orla top? Do share! If you want to join the Orla sewalong, there's still time! 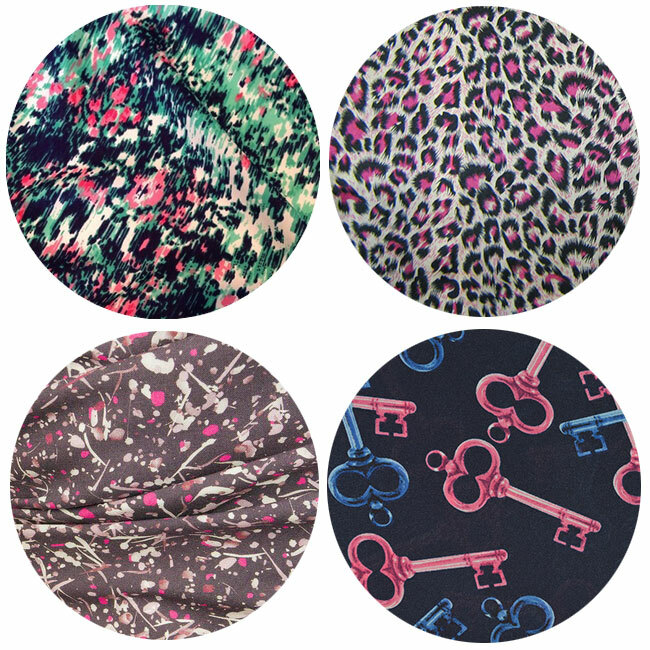 Order your pattern now and bookmark this page where future posts will be added. 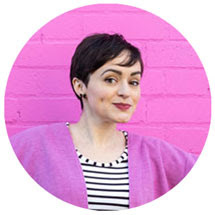 Next week we'll talk about choosing your size and adjusting the pattern for your body shape, including combining sizes, lengthening and shortening, bust adjustments, and fitting the back and shoulders. 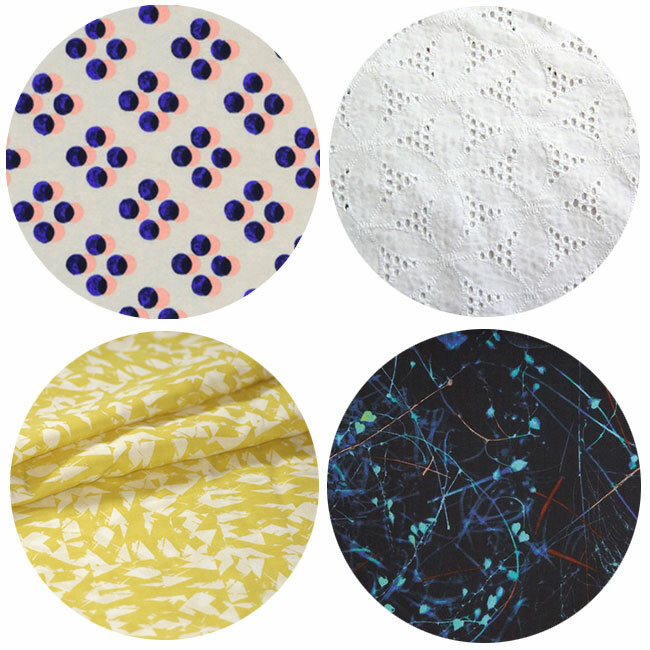 In the meantime, happy fabric shopping!